A home sleep study is a great way to get more sleep and get on with your life. If you constantly feel tired during the day you may wonder if you have a sleep disorder. And, if you truly need a decent night's sleep, a sleep study is a great idea. But you’ll need to make a decision first. Do you go to a sleep centre or opt for a home sleep study? Let’s be honest, spending the night in a sleep lab or hospital is a bit of a sleep killer. Trying to sleep in an unfamiliar room with strange noises and smells is enough to put anyone off having a sleep study. Not to mention the sleep lab staff checking on you. And, anything that turns people off having a sleep study isn’t great. Because testing for snoring and sleep apnea is life-changing. The great news is that there's no reason at all to go to a sleep lab or hospital for testing. You can have a home sleep study right now in the comfort of your own bed. If you can't sleep or you feel tired in the middle of the day, you most likely have a sleep disorder. Sleep disorders cause various medical problems and influence your well-being. The best thing to do in this situation is to have a sleep study. A sleep study can enable your specialist to analyse your disorder. Which means you get treated in the best way possible. What's more, the health benefits of treating your sleep disorder will change your life. A home sleep study is a more accessible version of a sleep clinic test. Known as polysomnography, a sleep study records your body's actions while you’re asleep. That means your breathing, heart, mind, sleeping position, blood oxygen levels - and that's only the tip of the iceberg. All while you sleep in the comfort of your own bed. What Do I Need To Do During A Home Sleep Study? Get ready for bed like you usually do only this time you will also set up the sleep study machine. Don’t worry, you’ll get all the information you need to do this from your Sleep Therapist in advance. So you’ll know exactly what to do. Just attach the motion sensors and nod off! It's that simple. What's more, your Sleep Therapist is only a phone call away in the event that you have any issues. When you get up in the morning, follow the directions from your Sleep Therapist and sit tight for your results. And that’s all there is to it. A home sleep study is so much easier than visiting a clinic. Plus there are even more benefits that you may not have even considered. Clearly, sleeping in your own bed will be much better than a strange bed in a clinic. And when you're at home you don't need to concern yourself with clinic staff. So you'll sleep better and your study outcomes will be more precise. What could be better than having your home sleep study gear sent straight to your home? It's so much easier than going to a sleep clinic to stay the night. What's more, you won't be wasting your precious time in traffic, trying to find a park and so on. Speaking of driving and parking, if you add up the expenses of travelling to a sleep clinic and other associated costs you’ll probably be out of pocket. So save yourself some extra cash by having a study at home. If your snoring or sleep apnea is left untreated you are at risk of a number of medical issues. Having a home sleep study gives more precise outcomes. Because you’re sleeping the same way that you do every night. So your body responds in the same way. Precise outcomes mean a more exact sleep study result and the right treatment. Your Sleep Therapist is there for you at all times. Even after you begin treatment for your sleep disorder. And if you ever have any worries about your home sleep study or treatment, just get on the phone and talk with your Sleep Therapist. Do something about your health and well-being and live the life you dream of. What if through simply having a home sleep study you could change your life forever? Treatment of snoring and sleep apnea is so easy and the results are life-changing. Call us today on 1300 246 637 or submit the contact form below and get ready to meet your Sleep Therapist. Contact us now. Sleep studies have uncovered a link between sleep and memory, according to recent research by Michigan State University. Their study found insufficient or disturbed sleep can contribute to weight gain, mood swings, high blood pressure and even an impaired immune system. These sleep disorder side effects have long been known, but the study also found some people's memories are strengthened while they sleep. "We speculate that we may be investigating a separate form of memory, distinct from traditional memory systems," study researcher Kimberly Fenn, assistant professor of psychology, said in a statement. "There is substantial evidence that during sleep, your brain is processing information without your awareness and this ability may contribute to memory in a waking state." This form of memory is called working memory capacity, or WMC, and researchers wrote in the study that it could "contribute substantially to individual differences in online processing," that is then a predictor of how well a person can then problem-solve, learn vocabulary, make decisions and comprehend reading passages. More studies are now being planned, to see if the sort of improved memory witnessed in the study is actually translatable to better learning in school or elsewhere. "Our memory systems are still active while we're asleep. Memories can be strengthened while we're asleep," study researcher John Rudoy, a doctoral student in neuroscience at Northwestern University, told ABC News. 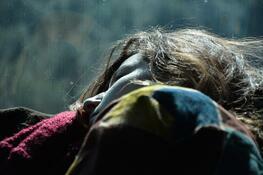 The researchers also noted that people who dreamt while napping had a greater ability to solve problems once awake. Dream level or REM (rapid eye movement) sleep is a deep level of sleep. Typically, people who are in the REM level experience 'flaccid paralysis', meaning most of the body's muscles are relaxed. The prevailing theory is that this is so we do not respond physically to the images we dream of, i.e., we don't run from the tiger we see in our dreams. The deep state of relaxation also means the musculature which controls the upper airway is relaxed. This is why many people snore or experience sleep apnoea (breathing stoppages) while in this state. If you snore or suspect you might have sleep apnoea, arrange a sleep study to determine the nature and severity of your condition. Research by Philadelphia's Children's Hospital has found a clear link between sleep quality and blood sugar levels, according to a study published recently in the Journal of Diabetes Care. The researchers studied 62 obese adolescents with a mean age of 14 years. Over a period of one and a half days, the children underwent glucose testing and an overnight sleep study. In addition to measuring total sleep time, the scientists studied "sleep architecture," analysing the different stages of sleep such as slow-wave 'deep' sleep and rapid eye movement ('REM' or dream) sleep. The study found obese teenagers who don't get the proper amount of sleep may have disruptions in insulin secretion and blood sugar (glucose) levels. In particular, a lower duration of "deep" sleep correlated with decreased insulin secretion. The study suggests that getting a good night's sleep may help to stave off the development of type 2 diabetes in these adolescents. Sleep apnoea (ie., the cessation of breathing while asleep) is classified as mild, moderate or severe depending on the average number of ‘apnoeic events’ which occur per hour will the patient is asleep. To classify as an apnoeic event, the person must stop breathing for at least 10 seconds. There is no ‘maximum’ period — and we regularly treat patients who stop breathing for 30 seconds to a minute each time. In particularly severe cases, the patients stop breathing for up to 2 minutes each time. Try holding your breath for that long. Now try doing it a dozen or more times per hour. A person with ‘mild’ apnoea stops breathing between 5 and 15 times per hour. That means breathing stops every 4 to 12 minutes. A person with ‘moderate’ apnoea stops breathing between 15 and 30 times per hour. That equates to a breathing stoppage every 2 to 4 minutes. A person with ‘severe’ sleep apnoea stops breathing 30 or more times per hour. In extreme cases, we have seen and treated patients who stop breathing over 100 times per hour. That means they stop breathing more than once every minute, for at least 10 seconds each time. More typical periods of stoppage are 20 to 30 seconds. 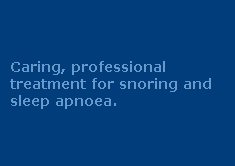 Serious apnoea sufferers may therefore not be breathing for more than half of every hour they’re asleep. No wonder their blood oxygen levels fall and blood pressure rises. And no wonder they wake feeling tired. Typically, each apnoeic event is followed by a ‘micro arousal’, where the patients wakes briefly and resumes breathing. Micro arousals are so brief, the patient has no conscious awareness of having woken. Therefore, the next morning they think they’ve sleep for 8 hours straight and can’t work out why they wake feeling so tired. The reality is they have NOT slept 8 hours straight. They’ve actually had a hundred or more short naps. You can imagine how you would feel if you dozed off, then were woken, then dozed off, then were woken, then dozed off, then were woken … again and again, for months and years on end. The disruption to the quality of your sleep would obviously be massive. Waking feeling tired is a significant signal. Feeling drowsy in the afternoon is another. High blood pressure is a very significant indicator. Snoring is a major ‘red flag’. In fact, if you snore and suffer from at least one of the other indicators just mentioned, it is very likely you are suffering from some degree of apnoea. The good news is, treatment is available and highly effective. The starting point is to have a diagnostic sleep study performed to determine exactly what is happening while you're asleep. Most of the cost of this study is covered by Medicare, and we can arrange for the sleep study to be performed in the comfort and privacy of your own home. Call 1300 246 637 for more information, or contact us online. Snoring might be common, but it is NOT normal. Snoring is NOT something you should ignore. The simple fact of the matter is that snoring is a loud, clear signal that the airflow is impaired. 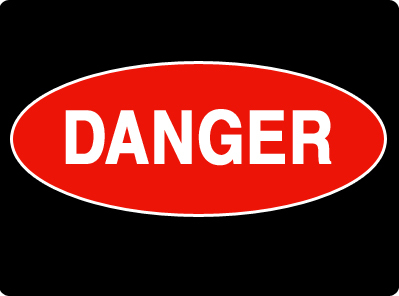 There is no worse time for this to be happening than when the patient is asleep and consequently unaware of it. What Would You Do If You Saw Someone Snoring While Awake? Think seriously about this: If you saw someone who was conscious and awake, yet they were breathing like a snorer does ... you'd immediately think something was wrong. Yet when we see a person breathing like a snoring while asleep, we tend to ignore it. Snoring is SERIOUS. Treat it, don't tolerate it. The difference it will make to your energy levels, metabolism, cognitive functions and much more are simply phenomenal -- and best of all, most of the cost of getting a diagnostic sleep study is covered by medicare. For more information, call today on 1300 246 637 or complete the 'Contact Us' form on our contat page. Sleep studies for snoring and apnoea are critical. At The Sleep Therapy Clinics we often get calls from patients requesting treatment without having first undertaken a sleep study. One every occasion, we refuse to treat them until they first do a diagnostic sleep study or polysomnogram. The reason is simple: In a study published recently in the Journal of Laryngology & Otology, a cohort of 31 supposed ‘simple snorers’ underwent overnight sleep studies (otherwise known as polysomnograms or PSG) to determine the real nature of their condition. The sleep studies found that only two were actually ‘simple snorers’. Of the remainder, two suffered from upper airway resistance syndrome. Nine (29 per cent) of the patients suffered from mild obstructive sleep apnoea (OSA). Seven (22.6 per cent) suffered from moderate OSA, and 11 (35.5 per cent) suffered from severe OSA. The simple fact is, it's virtually impossible to determine whether a person is experiencing 'simple snoring', or the vastly more serious 'obstructive sleep apnoea' without first conducting a sleep study. Given the serious consquences of OSA, the study clearly demonstrates why sleep studies must form part of the assessment and treatment pathway even for supposed ‘simple snoring’. Snoring is a loud, clear signal that the airflow into the body is disturbed. If you snore, or know someone who does, arrange a sleep study for them. With modern diagnostic technology, this can even be done in the comfort and privacy of their own bedroom so no overnight stay in hospital-based environment is required. For further information, contact The Sleep Therapy Clinic. Our friendly and caring treatment coordinators will organise all of the details for you, including the documentation necessary to get Medicare coverage. A sleep study, or polysomnogram, is the first step toward getting professional treatment for a sleep disorder. Your family doctor will refer you for a sleep study if he or she notices the symptoms of an underlying sleep condition. If you exhibit these symptoms and your doctors doesn't refer you for a sleep study, make a specific request for a sleep study. Very often people with sleep disorders are treated for the evident condition or symptoms, rather than the underlying sleep disorder. A sleep study will confirm whether a sleep disorder exists and will determine the nature and severity of the condition at the same time. An appropriate form of treatment can then prescribed and progress can be monitored thereafter against the initial sleep study results. For more information on sleep studies, click here. Apnoea (or 'apnea' depending on which part of the world you come from) is derived from the Greek: a- without, and pnoea- breathing. In the context of sleep disorders, apnoea is a condition where the sufferer repeatedly stops breathing while asleep. A person suffering from 'mild' sleep apnoea will stop breathing between 5 and 15 times per hour while asleep. A 'moderate' apnoea sufferer will stop breathing between 15 and 30 times per hour; and a 'severe' apnoea sufferer will stop breathing 30+ times per hour. To be considered an apnoeic 'event', each apnoea experience must last for at least 10 seconds -- although in many of the sleep studies we've done for patients, we've seen apnoea events lasting up to 2 minutes. More typically, apnoea events last for around 20 to 40 seconds at a time. Even a mild apnoea sufferer will therefore stop breathing somewhere between (at least) 50 seconds per hour (being 5 events at just 10 seconds each) through to as much as 10 minutes per hour (being 15 events at 40 seconds each). Obviously, in moderate and severe cases of apnoea, the breathing stoppages are for much greater periods of time. We have regularly seen patients who are not breathing for more than half the time they are asleep. The negative impacts of apnoea are many and uniformly negative. At the milder end of the scale, the patient suffers from waking tiredness, daytime sleepiness, fatigue, lethargy and loss of cognitive ability. In more severe cases, apnoea is clearly linked to acid reflux, hyptertension, metabolic retardation and consequent weight gain/obesity, ischemic heart disease and stroke. Apnoea is a 'silent killer' because it happens when people are asleep -- and the apnoea event is often characterised by the cessation of snoring. The noise of snoring might be irritating to the snorer's partner, but the silence periods between snoring could be deadly. If you snore, or know someone who does, arrange a sleep study immediately. For more information, visit our Sleep Studies page. A well written article in The Scotsman provides a comprehensive summary of the prevalence and common effects of snoring, with particular reference to its impact on relationships. According to the article, 48 per cent of snorers believed snoring had adversely affected their relationship with their partners with 10 per cent admitting they have considered living separately or splitting up because of the problem. The article also looks at some of the most commonly available treatments for snoring — from surgical intervention to over-the-counter remedies — with some reviews of different snoring remedies at the end of the article. A weak point in the article is that it does not point out the common connection between snoring and sleep apnoea. As discussed in our recent post, “Why Sleep Studies Are Necessary Before Treating Snoring“, a significant proportion of snorers are actually exhibiting a symptom of the more serious underlying condition. In a study published recently in the Journal of Laryngology & Otology, a cohort of 31 supposed ‘simple snorers’ underwent overnight polysomnograms (PSG) to determine the real nature of their condition. Of the remainder, two suffered from upper airway resistance syndrome, nine (29 per cent) suffered from mild obstructive sleep apnoea (OSA), seven (22.6 per cent) suffered from moderate OSA, and 11 (35.5 per cent) suffered from severe OSA. That means 93.5% of the patients who thought they were simply dealing with an embarrassing noise ... were actually dealing with a serious health issue. And that's not to say 'simple snoring' isn't bad enough anyway. The reality is snoring is clear evidence of an impaired airflow anyway. While there might not be any obstructions or breathing stoppages, the extra effort required to breathe still takes its toll on the sufferer. There are no circumstances when that can be considered healthy. It is virtually impossible to determine whether OSA exists without conducting a diagnostic sleep study (PSG), and given the serious consquences of OSA, the above-mentioned study clearly demonstrates why sleep studies must form part of the assessment and treatment pathway even for supposed ‘simple snoring’. Don't be tempted to 'skip' this step in your treatment pathway ... and be very wary of any treatment provider who tries to persuade you that a preliminary sleep study is not necessary.